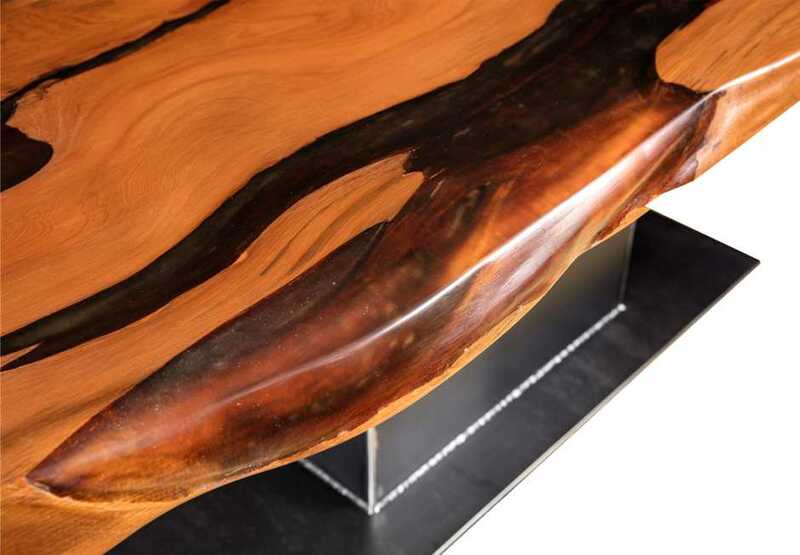 I regard irregularities in the growth of the Kauri of wood as a work of art of nature. dining table. The wooden table is characterised by a variety of original natural patterns and colours. 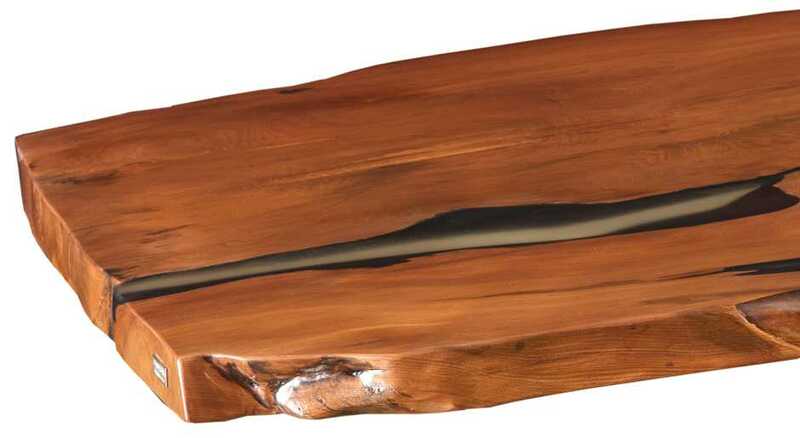 The golden elegance distinguishes Ancient Kauri tables from other woods. that you can, without hesitation, also use this piece as a dining table or in many other ways. 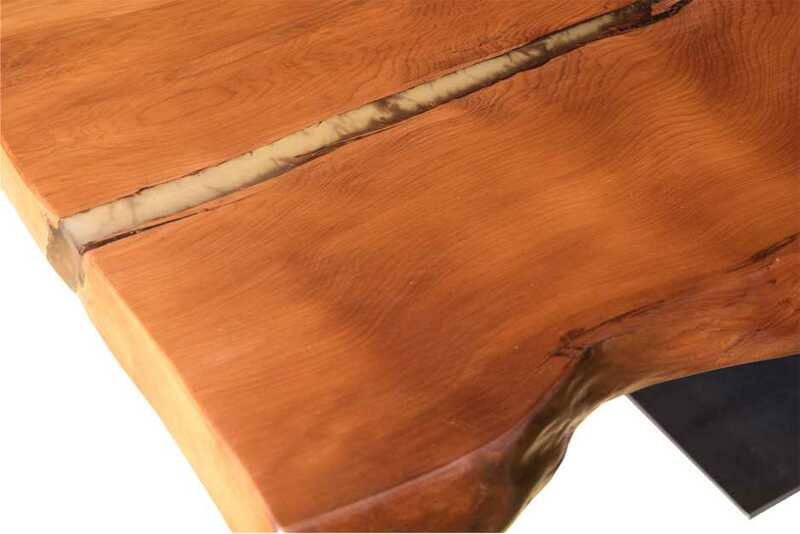 Thus, the Ancient Kauri wood tables and designer dinning tables continues to „live“ on. Each Ancient Kauri desk-top grew as a single piece, therefore each table has its own singular radiance and is a genuine original. I can create a bespoke item for you too. Each creation depends on your wishes concerning natural growth patterns, size and pedestal, within the limitations of such a natural desk-top. If you so wish, the edges of the tree can be retained. This contributes to the natural radiance if the wood and reveals its genuine origin and beauty.